Security mistakes 101, lock the doors to your home! Almost all thieves are able to enter a home through an unlocked door or window. What is the point of having locks if they aren't locked? Burglars walk around testing doorbells and door handles all day. 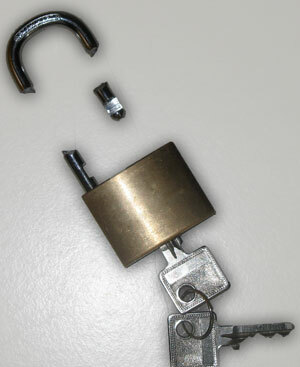 30% of all burglaries occur through an unlocked door or window. Stay in the habit of keeping your doors and windows locked, and you might avoid opportunistic thieves. Cheap locks are just that. Cheap. 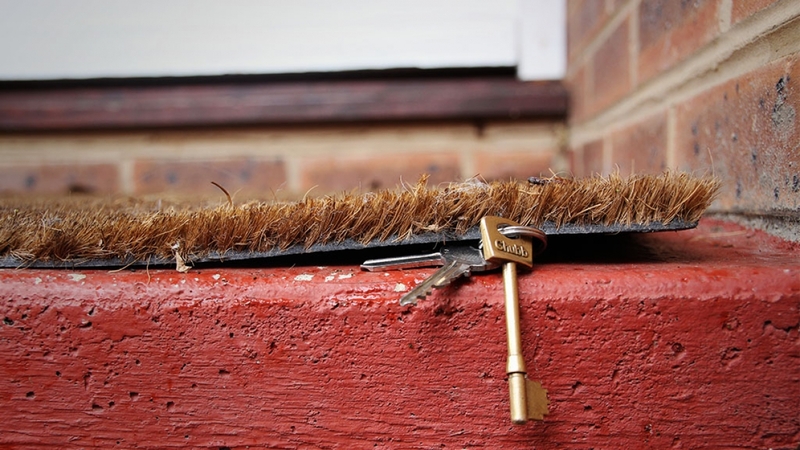 This is arguably the most important of all security mistakes affecting burglaries every day. Keep in mind when you're shopping around for security locks that over 33% of home burglaries occur through the front door. Hardware stores have a wide variety of locks in a wide variety of prices, and you should seriously invest in some good quality deadbolt locks and entry doors. Easily one of the silliest security mistakes in this day and age is not taking care where you hide the keys. A burglar knows they are under the mat, in the mailbox, or under that flowerpot, and chances are someone may have been watching you. It's probably not the wisest idea in this day and age to hide your keys anyway. You should consider installing a keyless entry system which will provide you with top-notch security while still allowing easy access. Look through the windows of your home from outside. Can you see your television, computer or other electronic valuables? If you can, would-be thieves can, and there's nothing like the sight of some unguarded bounty to tempt burglars. Draw your shades and curtains, or move your electronics to an area where they aren't visible from the street. And when you've just unwrapped your new television screen, don't leave the box outside where someone might see it as an invitation to target your brand new purchase. Flatten the box and dispose of it inside a trash bag for privacy. Always be wary of advertising your high-value items. If you were smart enough to get an alarm system, it won't do you any good if you don't arm it. Always activate it when you are going to sleep, on vacation, or out, even if it's just for 10 minutes. If you do not have a system, consider getting one as soon as possible. According to one study, 1 out of 5 burglars reported cutting phone lines before attempting to burgle a home. Also consider getting a wireless setup. It would be the best choice in this scenario. Ladders are one of the best tools of the trade. A ladder serves as the red carpet to the second floor of your home. If you happen to have upper levels, make sure you don't leave any ladders in the yard below, and don't leave upstairs windows unlocked either. Lock away your ladder in the storage shed or garage. 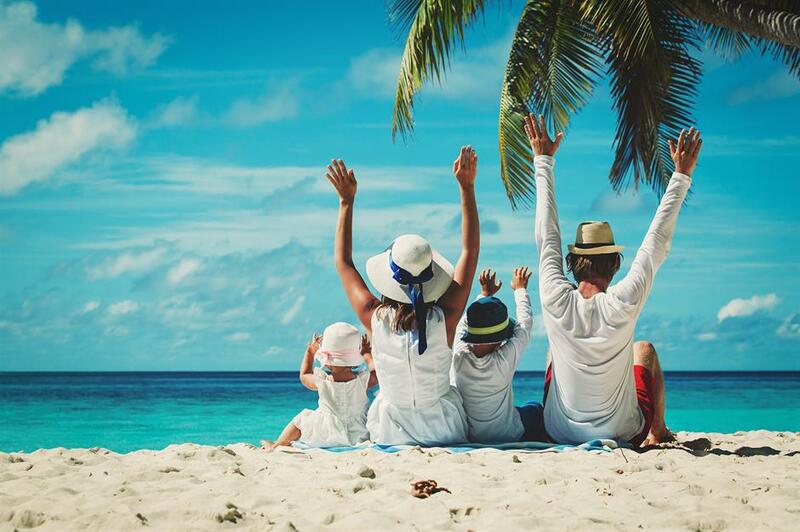 Social media is great for keeping in touch with friends and family, but never advertise when your home will be empty or when you'll be on holiday. A recent survey found that as many as 75% of convicted burglars used social media to target their victims. Avoid using apps with location sharing features too. You simply never know who could be watching your social media updates waiting to pounce. You don't want newspapers and mail piling up outside. This is the easiest way for burglars to identify your home as being empty. Try to maintain your homes "lived-in" look. Pay someone to cut the grass, clean the yard and trim the bushes. Ask your neighbor or someone else to collect and hold your mail while you're away. Install timers on lights so your home is always "occupied". Unlocked garage doors are easy to access to the rest of the home, and just because it is closed doesn't mean a burglar won't just walk right and try it anyway. An open garage door invites entry and access to your property. Always keep garage doors and home garage access doors locked. Everybody makes mistakes, it's normal. But, you can learn from other's mistakes too instead of repeating them. Remember to lock up and follow these easy fundamentals to avoid the most common home security mistakes and enjoy some peace of mind and a safer home.